This entry was posted on October 3, 2011 at 12:16 pm and is filed under Adventures, Art, Photos with tags art, black and white, hdr, mountains, mt. rainier, Photography, snow. You can follow any responses to this entry through the RSS 2.0 feed. You can leave a response, or trackback from your own site. 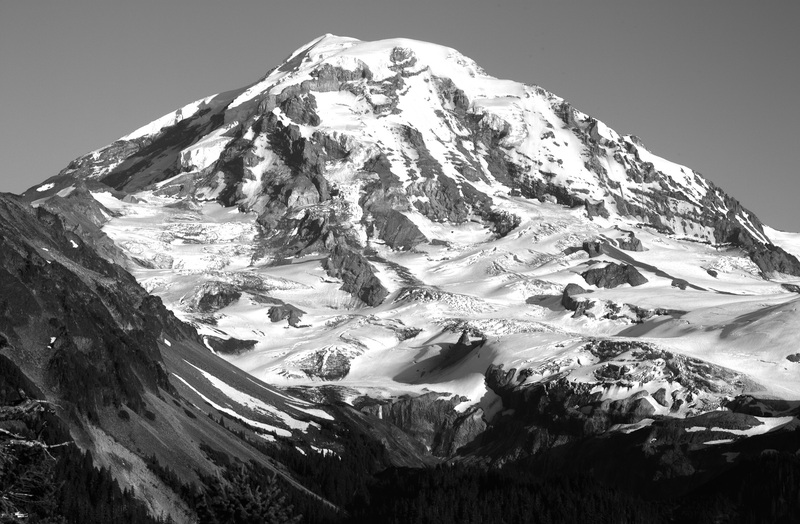 Hello, love your black & white photo of Mt Rainier! Just moved to Minneapolis from Seattle (lived there 33 years). Am looking for the perfect photo of Mt Rainier to have framed above my mantle. Do you sell prints? I do sell prints. It has been a bit since I worked on photography, but I have sold some in the past. I just got back into town from a back east, so I’ll need a day to get sorted back out before figuring out details. Thanks for the appreciative comment. I have been wanting to get back into the photo game.